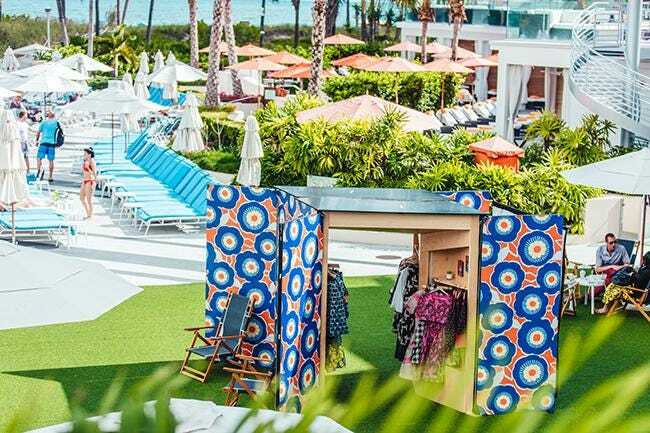 Last month, we partnered with innovative retail company by REVEAL and had our first pop-up shop during Art Basel Miami at Loews Hotel South Beach, sponsored by Porsche. The popup was artfully skinned in our exclusive brand prints and showcased the collection and it’s the artistic process, highlighting fashion as a component of art. By REVEAL was winner of 2018 Fashion Group International’s Rising Star in Retail award. 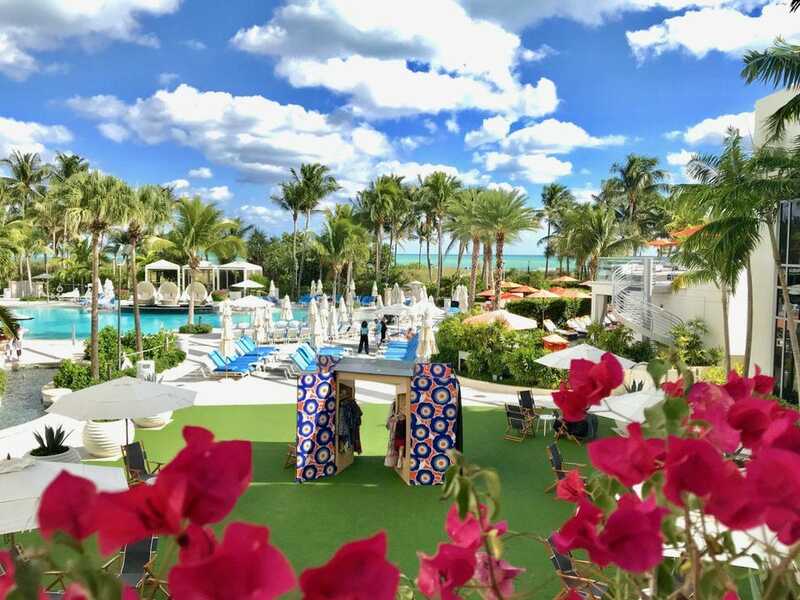 Their specialty is launching anywhere your brand needs to be; exactly what we did via an art as fashion four-day event in partnership with Loews Miami South Beach. Also featured was designer Madison Maxey, founder of LOOMIA who focuses on e-textiles and computational design. As the climate of physical retail is ever changing, more and more fashion brands forgo the traditional retail formula of wholesale to instead build a direct-to-consumer revenue channel, focusing on their relationship with their customers. Many brands find pop-ups as a key ingredient of DTC success. 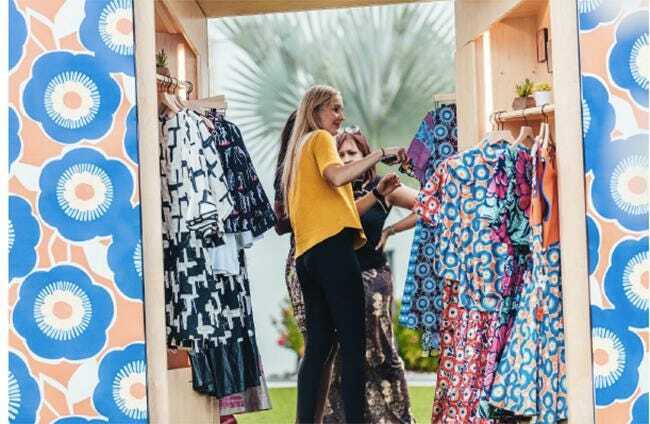 Pop-ups create experimental experiences for brands to meet their customers offline without the commitment of multi-year leases, full-time employees, months of inventory and all the other elements needed to keep a traditional retail space alive over time. According to leading digital commerce space Shopify, some of the reasons pop-up shops are important to building revenue and brand awareness are: testing a new revenue stream, engaging customers offline in today’s digital age, educating consumers, and creating a ‘while it lasts’ buzz of urgency. Our two-day pop-up, generated 2,154 targeted brand impressions. My team and I were also able to interact with our customers on the first day as they made garment purchases. It was an incredible experience for us to be reinforced once again that our price point is correct for our target market, and that Miami could be a lucrative market for us to enter, with their residents and tourist love of art, color, fashion, and fun prints. Our average order value was maintained in this market. While I knew I wanted to have a pop-up for our brand, I didn’t see it happening at least until next year, and I had no idea it could be so artfully specialized to match our brand aesthetic. I was even wearing the same outfit as our by Reveal popup building so there could be no mistake it was our brand being featured. The fact that it took place during Art Basel with such an incredible group of partners took the collaboration and brand activation to a level I never dreamed of.